ATBudget, product of Afanche Technologies, Inc. is a handy tool to keep track of your expenses and budget. It is able to monitor expenses in unlimited number of categories. It can also draw a graph to show all the monthly total expenses in the past months to help you understand the trend of your spending. 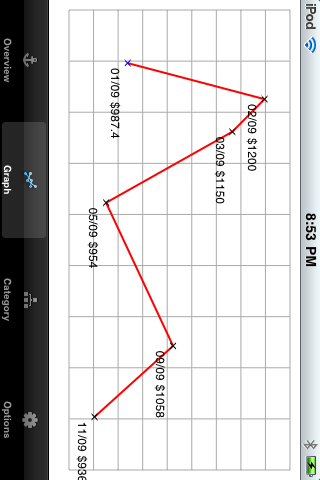 The App is very easy to use, set up a monthly budget target, add new expenses to the App whenever it happens. The App would automatically calculate the total amount of the expenses for the current month and tell you the difference between your budget and the total expenses for the month. 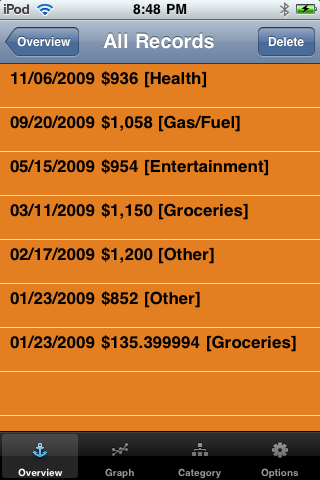 The system default expense categories include Groceries, Gas, Car Repair, Entertainment, Health, etc. You can add or modify the expense categories if you don't like the system default categories. You can also change the unit of currency to Euro or other currency instead of Dollar. With the help of the App, you will easily know how much you have spent and where you have spent. Your money, in your control!